Cindy & Tory’s Majestic Hotel wedding was a long-awaited celebration! Many of Cindy & Tory’s family and friends had waited years for this day, which made it especially exciting for everyone and made this day extra fun! The Majestic is by far one of our favorite wedding venues here in the beautiful Skagit Valley! We love this classic historic boutique hotel and all that it has to offer! We also LOVE that it is located in the heart of downtown Anacortes, which has so much charm & character! Cindy & Tory’s ceremony was held in the Majestic Hotel’s Courtyard. Typically, an October wedding in the PNW would not be an outdoor event. But Cindy & Tory ended up having beautiful weather and they were able to hold their ceremony outside! Tory & Cindy chose to have their children stand with them as their witnesses. We absolutely loved how each of the girls wore a distinct color & style of dress! When we first met with Cindy and Tory they told us there was one thing they absolutely had to have happen on their wedding day! They wanted to make sure to get some portraits together at Washington Park. When Cindy first moved here from her home state of Maine, she would get a little homesick from time to time. So Tory would take her to Washington Park to help cheer her up. Being out there on the water helped her feel a little bit of home…it’s literally her “happy place”. In fact, one of their first dates was a picnic out there on the water, so of course we were thrilled because it’s such gorgeous scenery! One of our favorite things about weddings is getting the chance to see the traditions and unique ways that each couple celebrates their special day! For Cindy & Tory this special tradition surrounded their dessert! Instead of a traditional wedding cake they chose to serve Whoopie Pies, which were flown out all the way from Maine!! Little did we know this, but whoopie pies are a pretty big deal in Maine where Cindy is from! We have to agree they were pretty amazing (yes, we had to sample both the chocolate AND vanilla)! Cindy & Tory…your day was amazing! We had SO much fun getting to know your family and friends! We wish you and your family all the best!  Thank you Mistry &Scott for such beautiful memories of an amazing day! Beautiful, fun pics, and love the idea of whoopie pies! Wendy…..the whoopie lies were a total hit! I should have ordered more! These are so beautiful!! Such a fun day. Gorgeous pictures!!!!! Absolutely love the ones by the ocean!!! So happy I got to share your special day!! Love you guys!!!! the photo’s were so beautiful you made it hard to choose my favorites, You captured their love for each other . Being the mother of the bride I would like to thank you for preserving their special moment forever. Pictures are worth a thousand words but I am speechless…capturing the beauty and happiness in these moments are amazing! Tori and Cindy, you are glowing! Absolutely stunning! Perfectly captured such a beautiful couple!! perfect photos of a perfect couple on their perfect day! These pictures are amazing! So beautiful, so much fun. Such a beautiful day and beautiful couple. I wish I had been able to attend. I am so pleased with the photos taken. They show the love, happiness and personality that are all you Cindy. Thank you for that. I am so happy about this union, FINALLY. May the universe be at your disposal to fill with love and happiness. Love the individualality of the photos and subjects. The wedding was absolutely beautiful and these photos did a wonderful job of showing it! Absolutely beautiful pictures love them! It was a fantastic day. Thank you Mistry and Scott for the fabulous work you did for us! So happy I was able to be there and celebrate with you. What a great day! It was a Beautiful Wedding!! These pictures are incredible and capture the essence of true love. Congratulations on your special day. These pictures are so beautiful!!! I got goosebumps multiple times!! Amazing!! !